You know that you must comply with HIPAA, the HITECH Act, and now the Omnibus or Mega rule changes, but where do you begin? 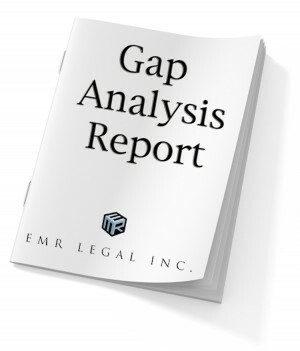 Veterans Press, along with the national HIPAA expert consultants at EMR Legal, has developed a user-friendly and easy to understand Gap Analysis Survey Questionnaire. Our HIPAA Gap Analysis Review is designed to evaluate your organization’s current state of information security practices and privacy practices against the requirements of HIPAA and the HITECH Act. Even though a Risk Analysis is a regulatory requirement, you as a covered entity or a business associate simply may not have the manpower, the expertise, or the time to perform one. The best place to start a Risk Analysis is to know where the gaps are in your compliance efforts. In our Gap Analysis Survey Questionnaire, we ask the questions, and you give us the answers. It is that simple. Once we have reviewed the questionnaire, we will send you a confidential written report and provide a confidential phone consultation with one of our HIPAA consultants. The report and phone consultation will detail which policies and procedures need to be updated or implemented and will include suggestions as to how to achieve your compliance goals in a reasonable, appropriate, and cost effective manner. Not sure where to get the policies and procedures that your organization needs to implement for HIPAA compliance? No worries. We have developed those for you, as well. Bundle the Gap Analysis Survey Questionnaire with our HIPAA Compliance Library and receive $200 off regular price of the library offered on this website. You will also receive a free one-year subscription to the Premium Member section of our website, where you gain access to new HIPAA & HITECH Act policies and procedures as they are developed, the FAQs section, containing answers to questions that you may have had, and the opportunity to ask some of your own. At Veterans Press and EMR Legal, we make it our business to make your business HIPAA compliant. Gap Analysis Survey Questionnaire with confidential report and phone consultation–$500.